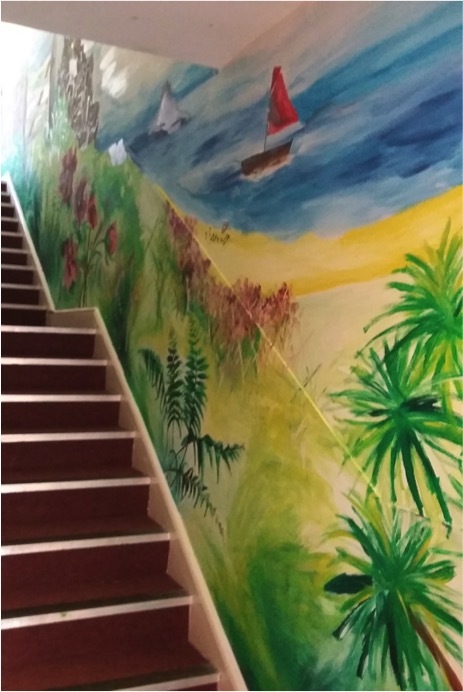 After the success of the climbing wall, Mike decided to ask Kate, our art teacher, if she could complete another mural in the school, this time down the stairs. 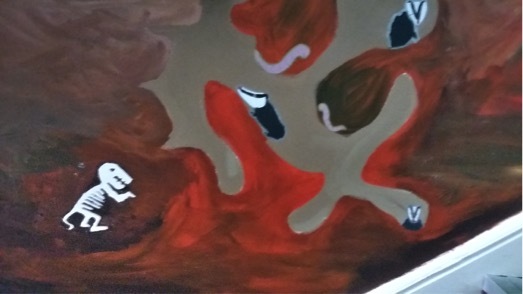 As the building is still new, all the walls are painted to the decorators default of white, and it was felt that adding a bit more colour would not only make the walls more interesting, but would also give the students more opportunities to take ownership of the school and contribute to the schools development. Once again, students from across the school were consulted about what design should be added to the walls, and then Kate got to work, alongside Luke, to get the design drawn onto the walls, ready for painting in the Easter Holiday. Painting started in the last week of term to allow more students and staff than before to contribute to the design, and we even had members of the Outdoor Education team take up paintbrushes and help out. 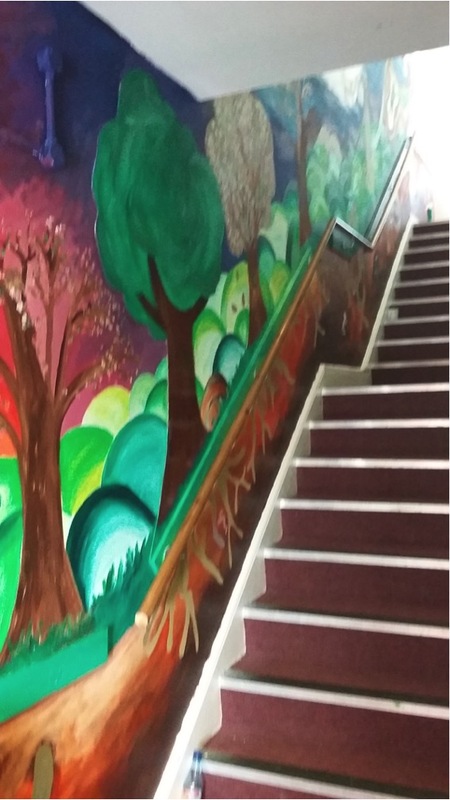 Over the Easter break, Kate, Laura and Heather came in to get the design completed to the students’ specification, and even put in some added extras so students to try and spot as they go up and down the stairs.